Awarding Greatness: SPIRIT | appArray Inc. The topic of today’s article is the SPIRIT category of our Corporate Philosophy. If the CREDO includes the qualities a member must have to work at our company, the SPIRIT category is made up of the values we hope members will possess. Like our CREDO category, the SPIRIT category is also split up into three different values. 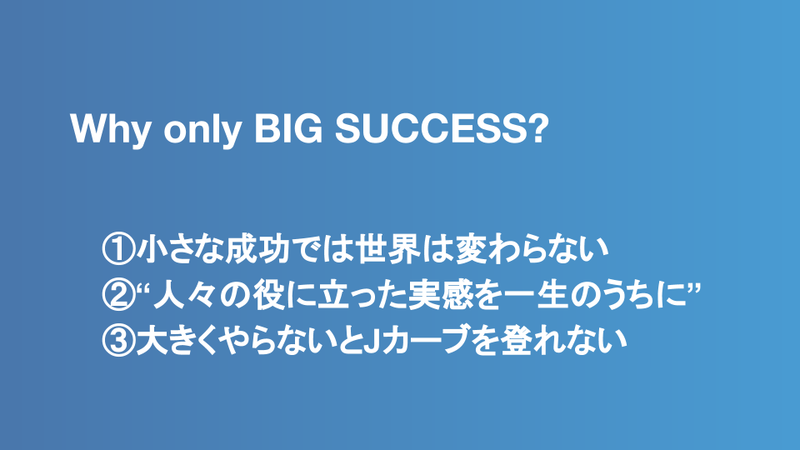 These values are Believe in the FUTURE, LEARN to improve, and only BIG SUCCESS. In this article, we’ll look at what each of the values of the SPIRIT category means, how each quality impacts our work, and introduce the winner of the award for each of these three values. 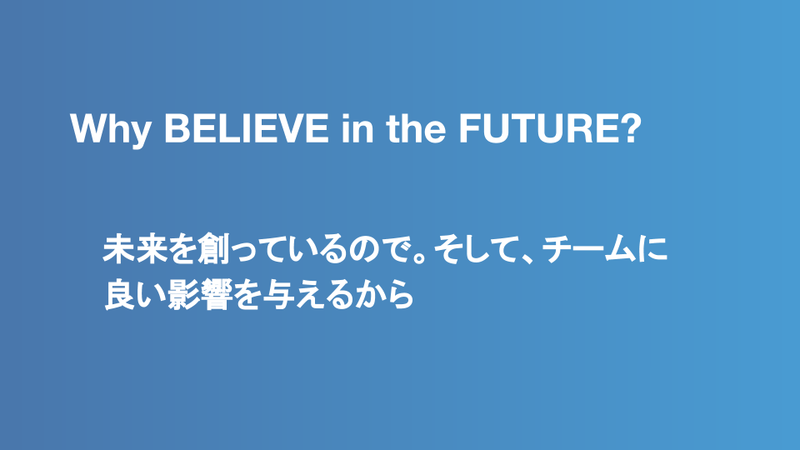 Without further ado, let’s look at the Believe in the FUTURE category. Believe in the FUTURE is the first value in the SPIRIT category. Believe in the FUTURE means never giving up faith in our goal and our ability to accomplish that goal. A member who embodies this value is someone who believes in the future and potential of the app and the company, take on challenges passionately and strives for individual success. This person is motivated to persevere even when times are tough, inspiring others to follow in their footsteps. As a start-up, this quality is important because it drives us to keep going, even in the face of failure. If our team members don’t believe we can be successful, we cannot create a successful app. And, if our members don’t believe our app, our users won’t either. Every member of our team originally joined the company because they believed in its mission and its potential to succeed. To accomplish our mission, we must keep this spirit alive. Without passion and belief, we cannot continue to advance, improve, or survive as a company. Our winner for this category was the manager of our Client Team, Hajime Nakahara. He also won the award for the CREDO category of Stronger as a TEAM. On top of displaying excellent teamwork, he is passionate and positive about the development of the app, setting an example for others with his commitment to the app and the company. 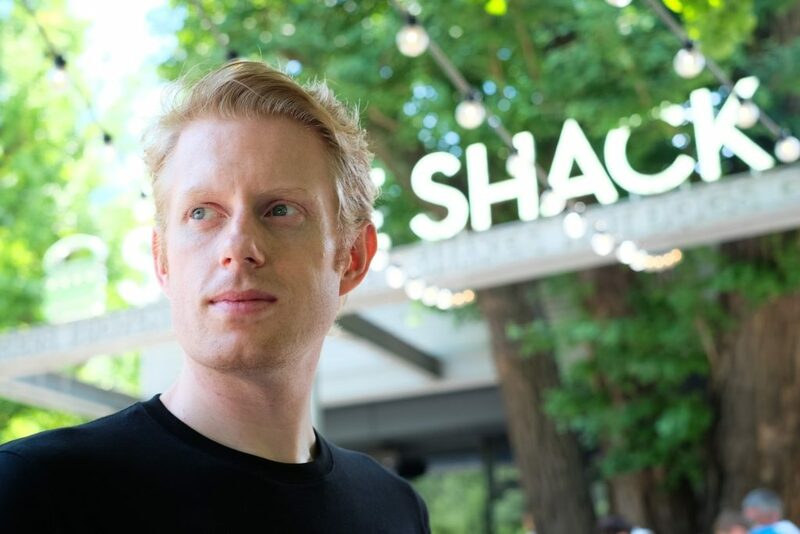 He also studies the competition to stay on top of popular trends and new techniques in the English Conversation app industry. Because he takes care of junior members and does his work quickly, he also pushes the company as a whole forward. 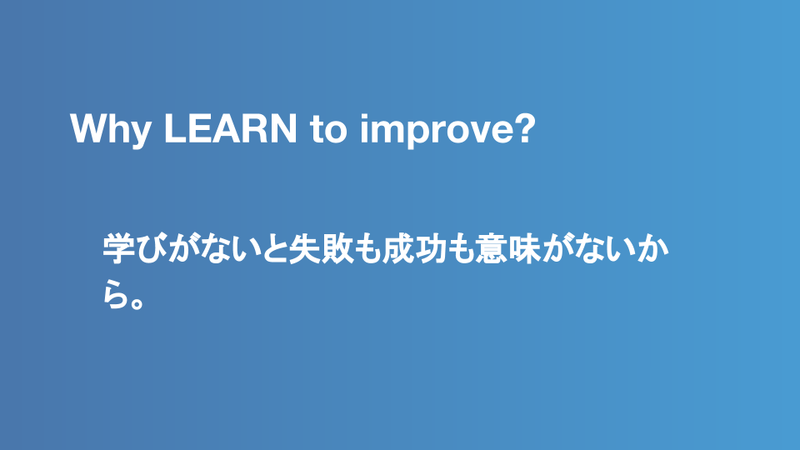 The second value in the SPIRIT category of the Corporate Philosophy is LEARN to Improve. This means never settling for good enough and always trying to better ourselves by gathering knowledge and information. Members who LEARN to improve embrace and apply the Build-Measure-Learn cycle to their work, learn through both the successes and failures of our app, and propose various hypotheses and methods to verify, clarify, and solve the real issues that our users have. They base their actions and suggestions on factual information and data to improve the app and its features for our users. As a company developing an English Conversation app, many of our members also have a thirst for knowledge and information. But, it’s not enough to have information. How we apply that information to our work is also essential. Learning from the successes and failures we have measured and trying not to repeat them is arguably the most critical step of the Build-Measure-Learn cycle that ensures our future improvement. If we don’t learn what we have done well and what we need to improve on, we cannot appreciate our successes and failures. LEARN to Improve gives us the ability to appreciate what we have done so far, and how much room we still have to grow. Our winner for this category was our designer, Michael Mason. He is regarded as a member of the company who displays all the qualities the SPIRIT category well. He constantly comes up with logical theories and suggestions for the problems that users are having and never says anything without reason. He has passion and is very professional about creating designs, learning and planning the designs carefully so that they will be engaging and easy for users to interact with from a variety of angles. He also encourages and advises the younger members of the company about a variety of topics, supporting their growth. The final quality we will cover in this article is only BIG SUCCESS. Rounding out our SPIRIT category, only BIG SUCCESS means shooting for the stars. A person who displays the quality of BIG SUCCESS is someone who pursues success to create change, proposes big, innovative, exciting ideas, and doesn’t fear failure. They also believe in and are committed to achieving the company’s long term goal of changing the world with our app. Aiming for BIG SUCCESS is important because it’s going to help us accomplish our goal. Every company wants to be successful and make a profit. But, ultimately, our most important goal is to change the world. To accomplish this goal, we need to create something new and different. It is challenging to create something that doesn’t exist yet, but we have to put in the effort and have the courage to keep trying new things. We have many competitors, so we need to go bigger and do more constantly. To leave a lasting, positive impact on our users, we need to pursue the biggest successes we possibly can. 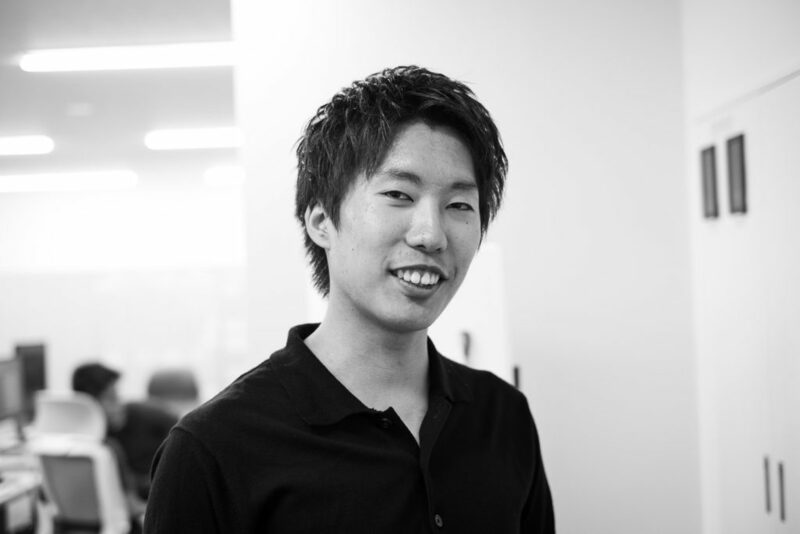 Our winner for this category was one of our Client-side Engineers, Hiroki Soeno. He is one of the youngest members of the company, but he’s also one of our most capable members. 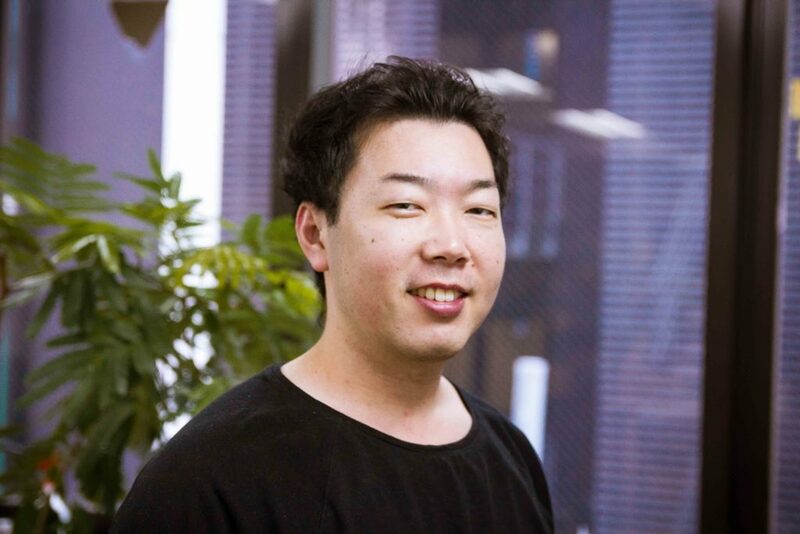 He joined the appArray team early on because he believed in the company’s future success. He is positive, and career focused. Many senior members of the company have also commented that he has potential beyond his years, and often tackles difficult tasks. Because of this, he is in charge of various projects within the company. He also usually answers questions and advises others, contributing to a good office atmosphere. Most of all, he is successful and improves the quality of every project he is tasked with. In today’s article, we explained the SPIRIT category of our Corporate Philosophies and introduced the winner of the award for each of its three qualities. We hope that everyone could learn a bit more about our members and Corporate Philosophy here. The final article of our Corporate Philosophy Awards series will be about the VIRTUE category of the Corporate Philosophy Awards and will introduce our last three winners. We hope you will take a look at that article, too. If you’re interested in learning even more about appArray, we encourage you to check out our other articles as well. You can find them on our Wantedly page.